Addressing sustainability and waste requires an in-depth examination of our resource use from extraction to disposal. 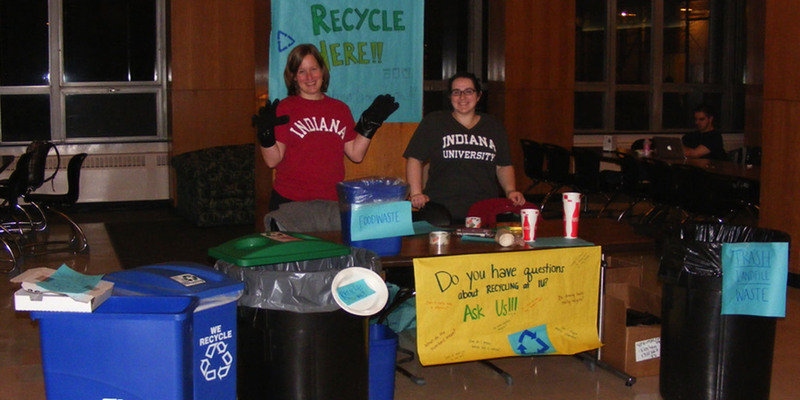 IU believes there are better alternatives to landfills. We are committed to diverting as much waste as possible through reuse, recycling, and composting, all while maintaining our focus on the most sustainable waste management technique—reduction. From ensuring that every trash can on campus is paired with a recycling bin, to making progress toward implementing "Zero Waste" game days, and even incentivizing behavior change with discounts for reusable cups through dining facilities, IU is making strides towards 50% waste diversion by 2020. To help you contribute to our collective zero waste success we’ve complied a list of the most commonly asked questions about recycling, as well as a picture guide. We know it can be confusing to know exactly what is recyclable and what isn’t so we’ve got your back. Indiana University utilizes waste reduction, reuse, recycling, and composting to minimize waste and increase waste diversion. Numerous initiatives exist to divert waste from the landfill, but sustainable waste management involves more than just recycling; it requires us to look not just “downstream” to our waste’s destination, but also “upstream” to its origins. Our Hoosier 2 Hoosier program works to divert reusable items from the landfill during student move-out in the spring and resale to students and the community in the fall—all while raising funds for Bloomington nonprofits. Read more about current initiatives below. 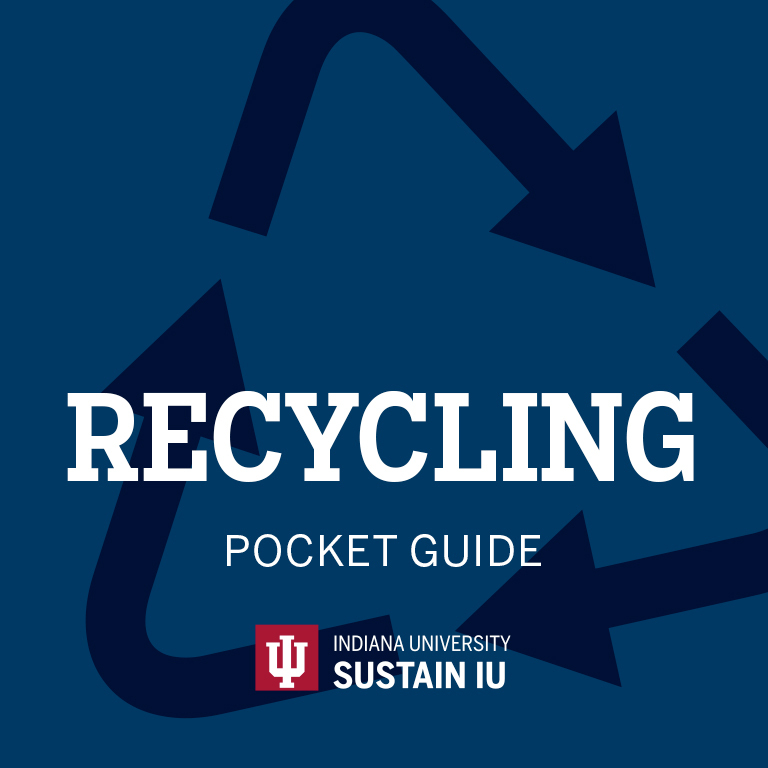 Also look into the resources provided to learn more about how IU is serious about making recycling opportunities convenient for everyone on campus. 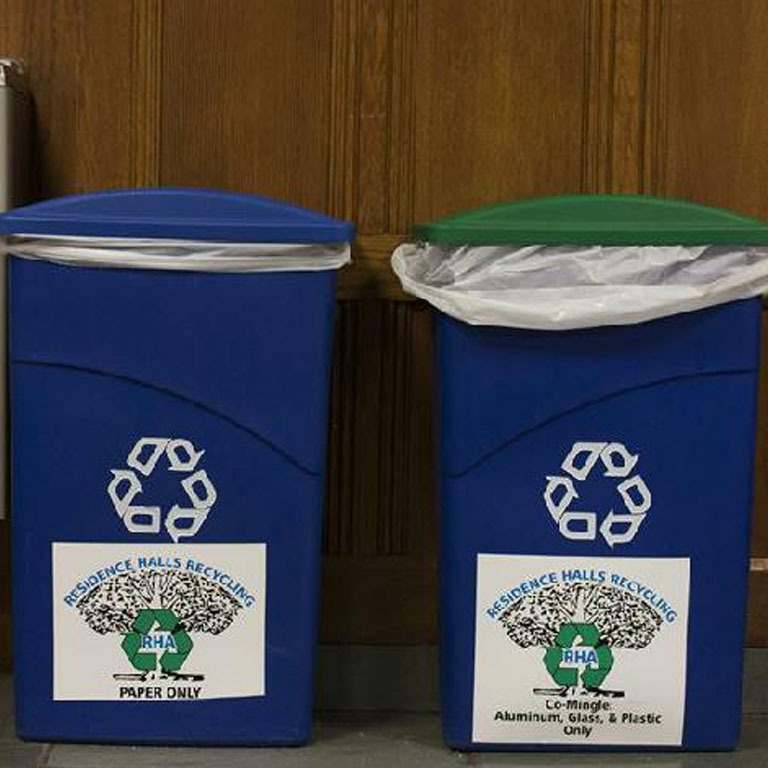 IU's major resource goal is to reduce campus solid waste by 50% by 2020. This goal is one of twenty goals composing the 2020 Vision Goals. Outreach events such as Recyclemania and impactful measures such as steps toward zero waste campus dining help move the needle. Currently, a waste audit being undertaken to make progress toward a "Zero Waste" campus. 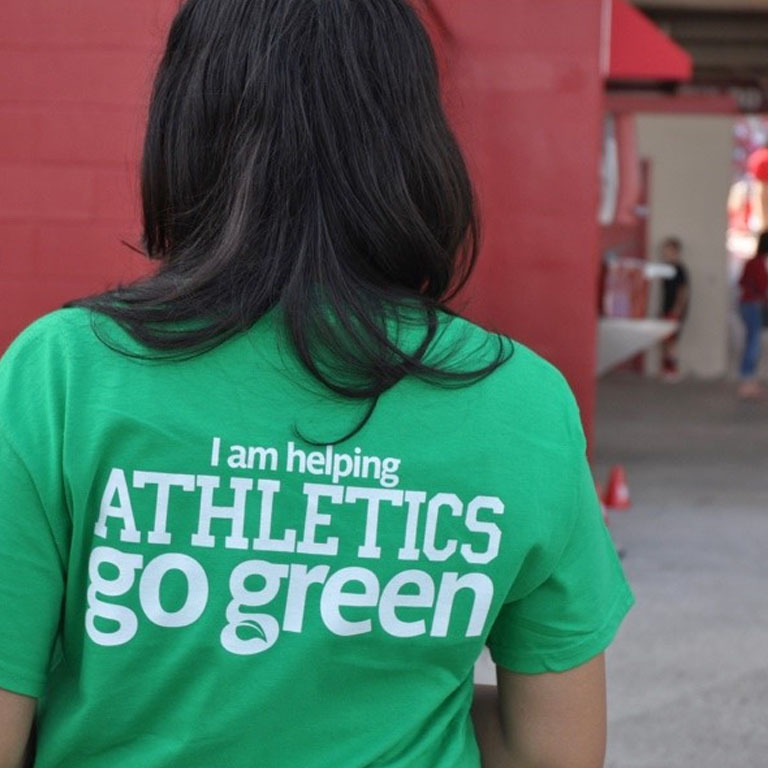 Ongoing initiatives such as Hoosier 2 Hoosier,IU Surplus and Greening Cream & Crimson; coupled with campus recycling receptacles help contribute to IU's waste reduction. A continuously updated collection of resources can help you sustain IU to improve collective action and progress to sustainable waste management practices across the University. Open to faculty, staff, and students across all IU campuses, members of the working group meet monthly to collaborate on sustainable resource use initiatives. To join these efforts, co-chaired by Professor Kelly Eskew, Tom Fallwell, please contact us.